Say “no” to regulation of religion before February 28! In October 2016, the CRL Rights Commission released its Report on the “commercialisation” of religion and abuse of people’s belief systems. The Report recommends the broad-scale regulation of religion in South Africa, including the compulsory registration and licensing (depending on doctrine) of all religious institutions and religious practitioners. The deadline for comments on this Report which will ultimately be presented to Parliament, is Tuesday February 28. (A copy of the CRL’s Report is available at http://forsa.org.za/document-library/— scroll down to and click on CRL Report on commercialisation of religion). Freedom of Religion South Africa (FOR SA) and the SA Council for the Protection and Promotion of Religious Rights and Freedoms (who oversees the SA Charter for Religious Rights and Freedoms), in consultation with senior religious leaders and lawyers, believe that the CRL’s recommendations, if implemented, would violate the constitutional right to religious freedom (s 15) and freedom of association (s 18). In the circumstances, FOR SA on behalf of its signed-up members and the various (including many of the major) churches, denominations and organisations who have asked us to represent them in this matter, together with the Council, will be making a comprehensive submission to the CRL with regard to its Report, explaining why their recommendations are not only unconstitutional, but unnecessary and unworkable. (A summary of our submissions to the CRL appears below). 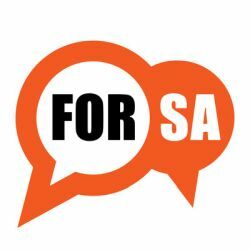 If you have are not a signed-up member of FOR SA and wish nonetheless to stand with us on this issue, please notify us at legal@forsa.org.za by no later than Tuesday February 21 (and indicate the official name and contact details of your organisation, as well as the capacity in which you are representing them). It is critical that religious institutions and practitioners make their voices heard at this stage, before the CRL submits the Report to Parliament, in order to influence what is ultimately put before Parliament. For those religious institutions, practitioners, organisations or individuals who wish to submit their own comments (separate from FOR SA’s submission) to the CRL, you are welcome to do so by e-mailing your comments directly to the CRL Rights Commission at info@crlcommission.org.za on or before Tuesday February 28. (It would be helpful if FOR SA were to be copied into your response to the CRL). In order to assist you, FOR SA has also prepared a ‘sample submission’ that you can either copy/paste on your own letterheads, or use as background information to prepare and submit your comments on the Report. The ‘sample submission’ will shortly be available on the FOR SA website at www.forsa.org.za (alternatively, you can e-mail us at legal@forsa.org.za for a copy of the sample submission and/or the more comprehensive submission that we intend to submit on behalf of churches, denominations and faith groups who have asked us to represent them herein). 1. 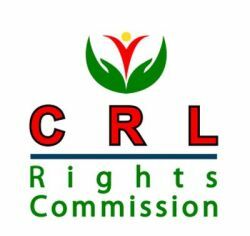 We recognise that there are isolated incidents of excess and abuse taking place in the name of faith, and share the concerns of the CRL Rights Commission (“CRL”) in this regard. 2. We commend the CRL for what we believe to be a bona fide effort to prevent and combat the “commercialisation” of religion and abuse of people’s belief systems. 3. We are concerned however that the Report, particularly the proposed regulation of religion in South Africa, if implemented, would violate the constitutional rights of freedom of religion, belief and opinion (s 15) as well as freedom of association (s 18). 4. We would specifically point out that, contrary to what the Report purports to suggest, the proposed regulation of religion is not congruent with the South African Charter for Religious Rights and Freedoms (SACRRF), to which the CRL is a signatory. 5. Procedurally, while we accept the CRL’s good intentions in adopting a “random sampling method” to select the religious institutions summonsed to appear before the Commission, we are concerned that the investigation and the findings pursuant thereto are not representative of the broad spectrum of religious communities in South Africa. Furthermore, there is a serious disconnect between the (restricted scope of) the Summons issued to religious institutions and the matters covered during the hearings, and the far-reaching regulation of religion subsequently proposed in the Report. As a result of this flawed process, the Report is likely to be open to challenge on judicial review. f. Lack of good governance: It is submitted that the CRL has a very important role to play in educating religious institutions, practitioners and communities among all religions, in this regard — for example, by providing sample constitutions, memorandums of incorporation, board resolutions, etc. Ideally, the CRL would function as a “one stop shop” for religious institutions and practitioners on issues affecting them. b. Additionally, creating new legislation that would a) establish criteria for the recognition of a religion as such; and b) create a number of regulatory bodies responsible for the issuing and revoking of operating licences to all religious institutions and practitioners (depending on their doctrine), and c) playing a broad policing role over them. 8. This recommendation, if implemented, would amount to State regulation of religious institutions. In each instance, an organ or functionary of State would have the ultimate power to decide whether or not to register a particular religious institution, without which an institution would not be allowed to operate. 9. There is further no guarantee that compulsory registration will be effective in preventing and combating the problems identified by the CRL in its Report, and it will probably not stop people from meeting for religious purposes and expressing their religious convictions and beliefs as they choose. There is a strong likelihood of non-compliance with compulsory registration, which will further undermine the rule of law. 10. Although the Report purports to encourage “self-regulation”, it is clear that something far more intrusive is in fact being contemplated. In whatever “self-regulatory” terms this is couched, these regulatory bodies will be State-appointed, State-funded and State-controlled. As a result, the proposed legislation effectively amounts to State regulation of religion. 11. Compulsory registration and licencing of religious institutions and practitioners will disrupt the co-operative model of religion / State relations that has been in place in South Africa for decades, and replace it with a State regulatory model, with severe implications for religious freedom and religious communities in South Africa. 12. The proposed regulation of religion is also not practical. For example: how could a multi-faith Peer Review Council sit as “judge” over a dispute within a particular religion; and how would a single faith Peer Review Committee “judge” a dispute between churches or denominations holding to a significantly different interpretation of the same Scripture? 13. In so far as the proposed umbrella organisations are concerned, the requirement that every religious institution and/or practitioner be legally compelled to belong to an Umbrella organisation is a violation of the fundamental right to freedom of association, which guarantees an individual, a group of individuals or an organisation the right to choose their associates. It is trite law that the right to associate includes the right not to associate, and the CRL thus cannot force any religious institution or practitioner, against their will, to “belong” somewhere. 14. The CRL Chairlady has repeatedly compared the religious sector to the medical and legal professions, and suggested that if they (doctors and lawyers) are regulated, there is no reason why the “religious profession” (religious institutions and practitioners) should not be regulated either. However, religious practitioners are not the same as lawyers or doctors. While it is obvious that, in the case of lawyers or doctors, objective criteria exists against which legal or medical opinions or practices can be measured, the same is not true of religious beliefs and practices which are constitutionally protected even if they are “bizarre, illogical or irrational”. In a country that has a constitutionally protected right to religious freedom, it is unacceptable that the State would lay down objective criteria against which religious convictions and beliefs will be measured. 15. From a constitutional perspective, the CRL’s proposed regulation of religion in South Africa, if implemented, will violate the constitutional right to freedom of religion, as defined and given effect by the SACRRF. 16. While s 36 of the Constitution allows for the limitation of fundamental rights in certain circumstances, the proposed recommendations do not satisfy these criteria. In particular, it is pointed out that the CRL Report itself acknowledges that there are various laws in place that govern religious communities, and that these laws should be more strictly applied. In the circumstances, a strong argument can be made that there are less restrictive means available to achieve the same purpose, and that this fact seriously undermines the necessity for new legislation that will have a sweeping and far-reaching impact on the right to religious freedom. 17. It is submitted that, rather than creating a new law which would place an additional burden on the already strained resources of government, the Police and the courts, government should focus its energy and resources on enforcing the existing laws to address the problems identified by the CRL in its Report. 18. In light of the a foregoing, while we understand the CRL’s concerns regarding the “commercialisation” of religion and abuse of people’s belief systems and are grateful for their efforts in wanting to do something about it, we cannot support its sweeping and far-reaching recommendations for the regulation of religion in South Africa. 19. In particular, we support the proposal of a “Code of Ethics” to which religious institutions and practitioners would be encouraged (but not legally compelled) to subscribe. The SACRRF provides a foundation for this work, which could make a valuable contribution to the constitutional exercise of the right to religious freedom, and the rights of religious communities, in South Africa. 20. In conclusion, we strongly appeal to the CRL to hold back the referral of its recommendations to Parliament, until such time as a broad consultative process with the religious sector has taken place to discuss the way forward and we affirm our commitment to working with the CRL, in finding solutions that are practical and constitutionally permissible.